Enjoy your holidays in a special way; from the water, aboard the Rainbird on Lake Union. See the city lit-up, in all its wonder from the vantage point of the water—and make a lifelong memory. There is nothing like seeing the City with all of its lights, lighted boats and homes, and fireworks—up-front and personal. Your 2-hour, Special Events Cruise begins by heading to the south side of Lake Union where major companies are reshaping our city. 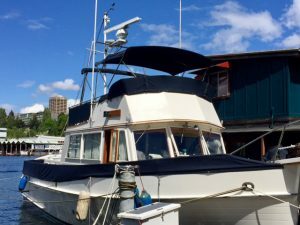 We’ll leave the hustle and bustle behind as we set out on our leisurely cruise in the comfort of our beautiful custom and classic wooden yacht, We offer custom sandwiches, fine Washington Wine, ice cold beverages, and Hi quality H2O. Make your experience even better by adding a picnic lunch to your cruise. We feature award winning, delicious hot sandwiches, which we’ll pick up fresh from the bakery at Fisherman’s Terminal – nestled amongst Alaskan fishing vessels, including those featured on “the Deadliest Catch” (hint: ask your Captain about his 10 years in Alaska as a skipper). Enjoy our Holiday Cruises aboard the Rainbird on Lake Union. See the city, lit-up in all its wonder, from the water—and make a lifelong memory. 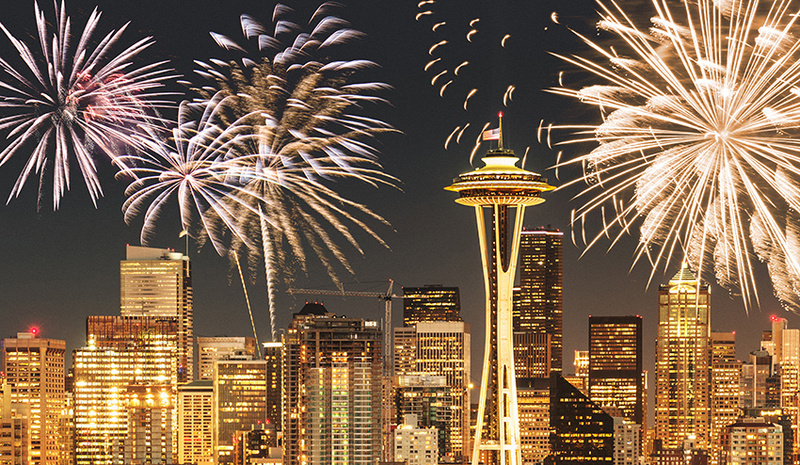 There is nothing like seeing the City with all of its lights, lighted boats and homes, and fireworks—up-front and personal.